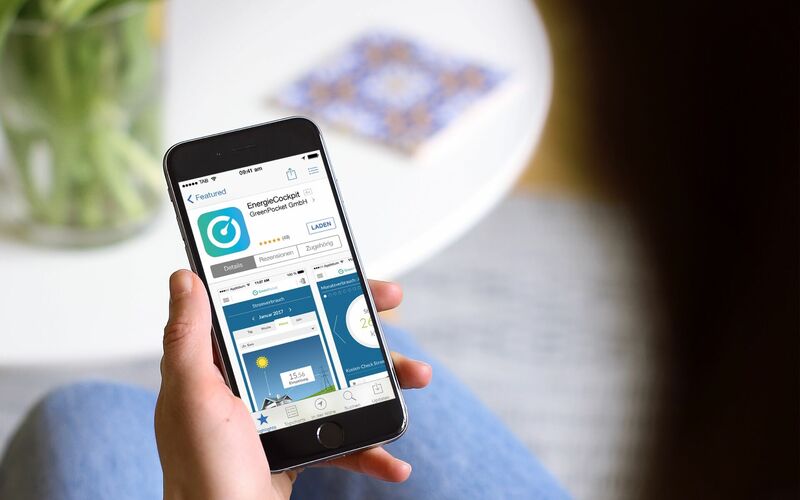 The smart meter rollout on a wide scale opens up new avenues for utilities to interact with their customers by providing transparency, information and sharing valuable news. 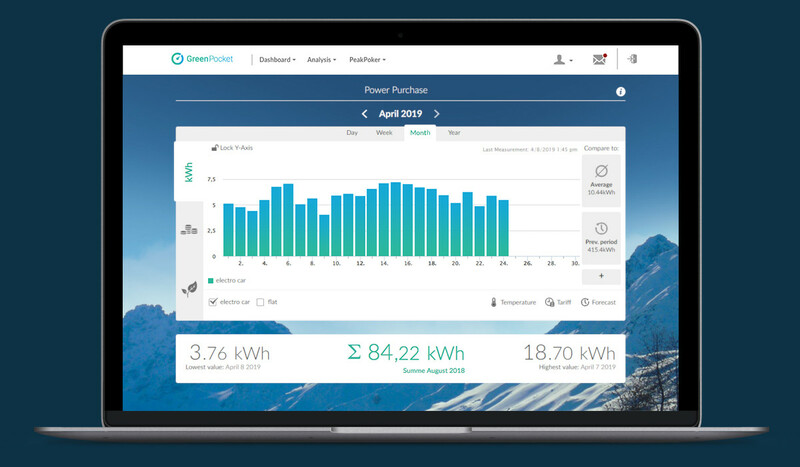 The GreenPocket Energy Cockpit is an intuitive, user-friendly solution for interaction of the utilities with their residential customers and small businesses. And it is fairly simple to integrate into existing systems, thus reducing your costs. GreenPocket supports you with the experience generated from 130 successfully completed projects. The simple administration combined with training and tech support reduces your operational costs. 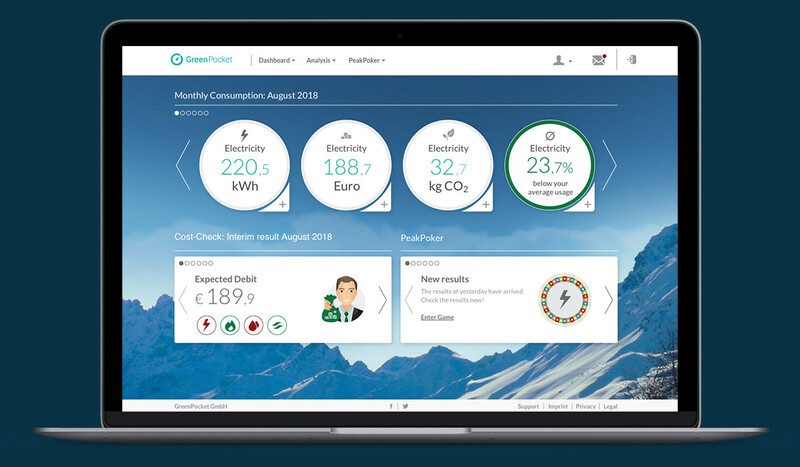 GreenPocket Engagement Portal provides attractive added values for utilities and their customers and is the best choice to gain an advantage in the growing smart meter market. Help consumers improve their energy efficiency and lower their costs to meet mandated energy savings requirements. Expand dialogue with your customers and optimize your services to strengthen customer loyalty. GreenPocket software is built modular enabling utilities to choose from specific features. 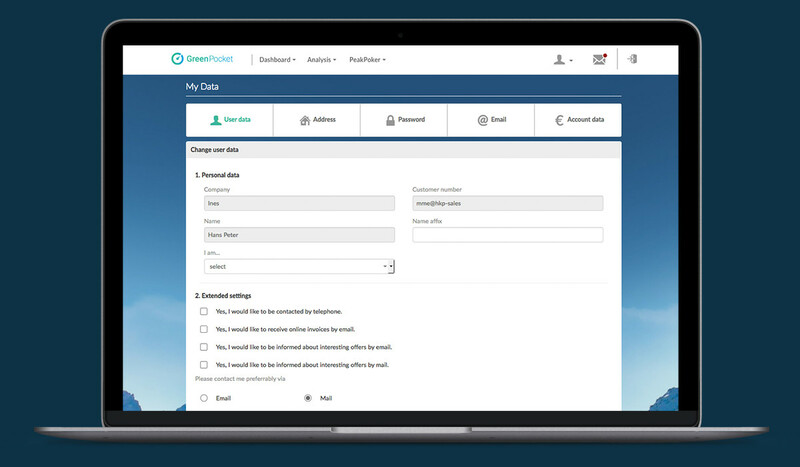 The portal is fully customizable to the look & feel of any company: it integrates seamlessly into your existing customer experience. 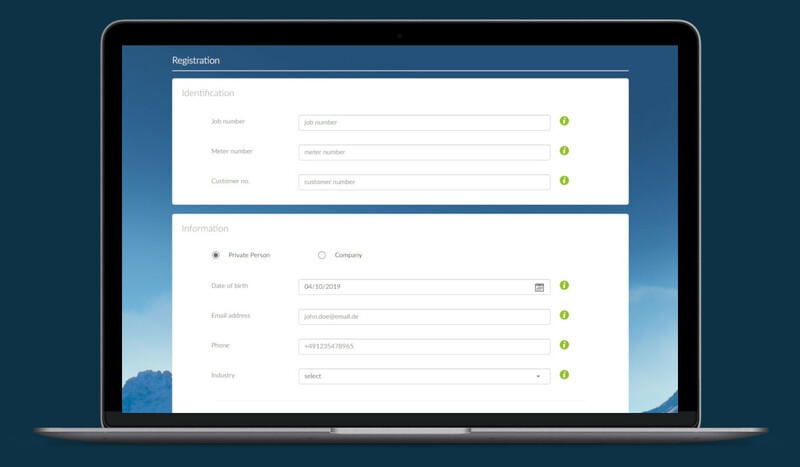 Customers are prompted to enter data using customizable entry fields in the registration form. Two-factor authentication ensures that only customers with the correct identification data have access to the portal. 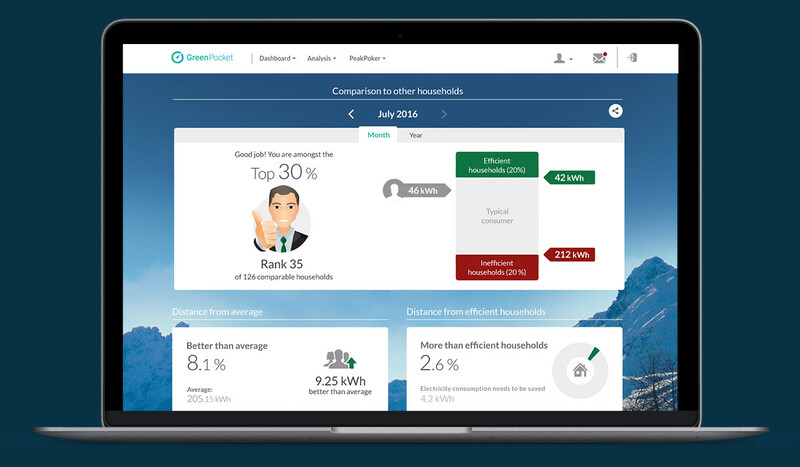 The dashboard provides the most important data in a clearly summarized view, making current meter readings, consumption and billing-relevant data easy to understand. Historical data can be viewed with one click. 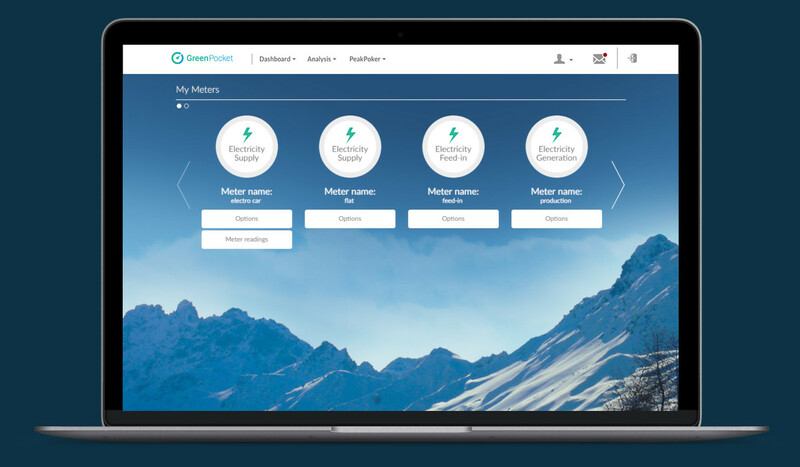 Users can quickly and easily track their electricity and gas consumption - both for individual meters and for multiple meters. Optionally, the visualization of heat and water consumption can be added. Compare own generation (e.g. from solar panels), feed-in and energy consumption from own generation as well as the grid. Export data for your own records and further analysis. Track energy use and set alarms when reaching specific consumption levels. Comparison with previous periods or historical averages make it even easier to estimate one's own energy consumption. Utilities can send notifications to their customers with valuable information including special offers, energy saving tips and much more. The administration tool reduces operating and support costs. Administrators have a comprehensive and clear overview of all users and meters. The possibility of logging into the customer interface also provides an effective means of enhancing user support. Fast and reliable error detection enables the multi-stage mapping of irregularities in the delivery of consumption data down to the exact metering point. The document management system can manage documents and customer information via link or upload as PDF. Present customers with exclusive offers, increase customer satisfaction and create sustainable customer loyalty. Flexibly plan individual discount campaigns to manage your customers' consumption patterns and shift consumption peaks. 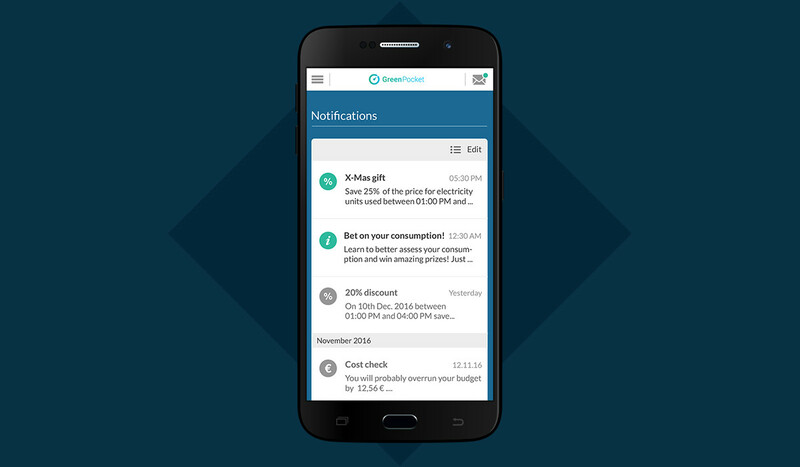 Inform your customers via push message or e-mail about current promotions. Complex, tested algorithms standardize the consumption of all participating households. 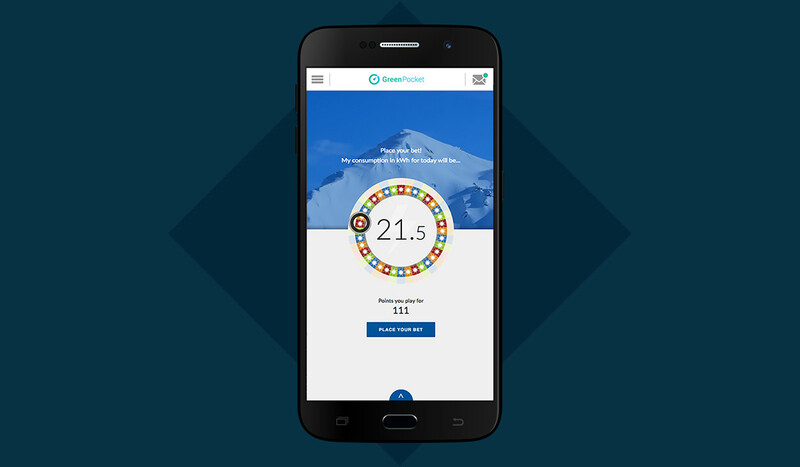 This allows every user to compare himself with similarly equipped households and to better estimate his own consumption. Using various tabs, your customer can update user, address and contact details in the portal and, among other things, determine the preferred form of contact and consent to your bonus offers. This keeps all data up to date and your CSS portal is maintained continuously. Retain your customers through thrilling games and the prospect of prizes. In our daily betting game, users can estimate their daily energy consumption and compensate for deviations by operating virtual devices. Through the application, users get to better understand their consumption and can optimize it on this basis. They can also collect points through good estimations, which you can use to offer prices to your customers. Sustainability and independence are becoming increasingly important to your customers. 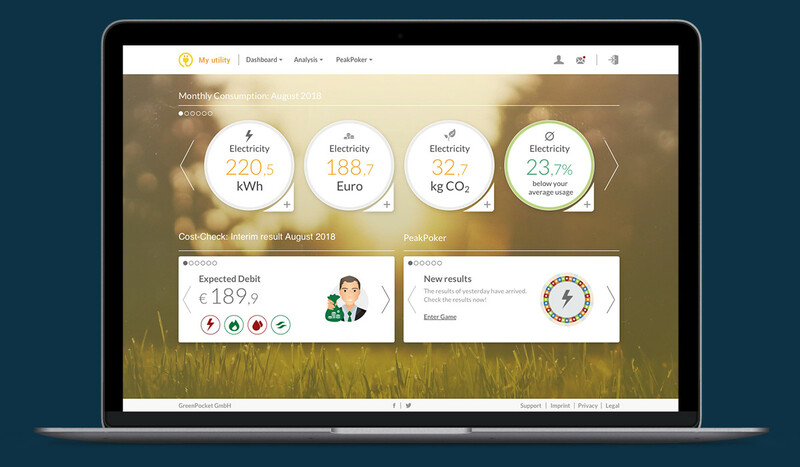 With the production dashboard, they can keep track of how successful their sustainability measures are. In the energy cycle, the current energy flows are shown with consideration of feed-in, purchase and own consumption. By analyzing the user behavior, the software enables you to further develop a demand-oriented product and service range. Weather and temperature influences on consumption behaviour can be identified via the temperature curve. Watch our how-to video to get informed about the possible applications, advantages and added values of the GreenPocket Energy Cockpit. 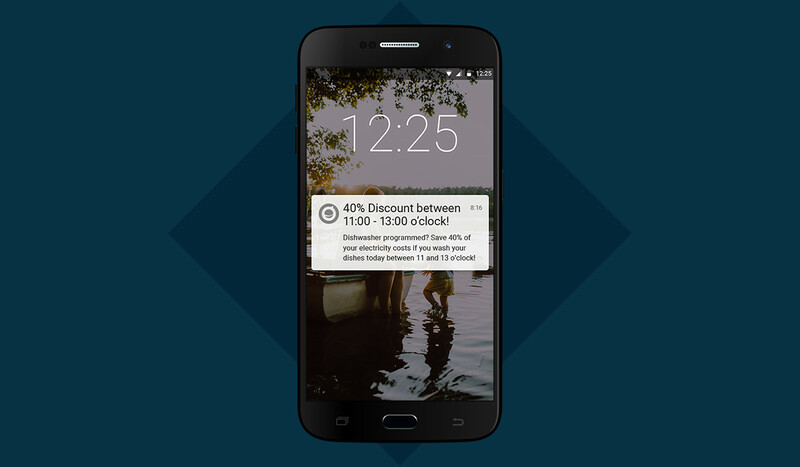 Reach your customers anytime and anywhere via push notifications to provide them with important information and helpful tips. This provides you with a valuable tool for building customer loyalty. GreenPocket continuously develops its products following a roadmap set by customer demands. With 3 to 4 updates annually, we are seen by our peers as agile and forward thinking. Additionally, we offer flexible development options with a strong focus on individual customization. You can choose the features you want to apply in your customer engagement – its easy and fast to do. Get your own impression of our Energy Cockpit for residential customers!